They all do it. They all pollinate. 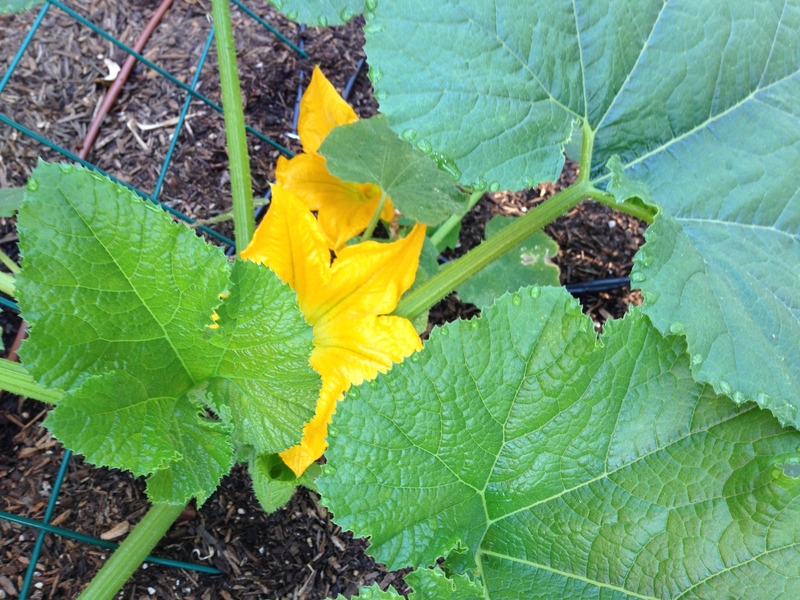 You would think that with so many pollinators around, it would be easy to grow squash and produce an abundant harvest. And yet, it is a common complaint that while the squash grows and blooms, there is no fruit, the fruit is misshapen, the plant provides a very small yield, or the fruit just dries up and then rots off. It’s most-likely due to poor, or incomplete, pollination. During the main growing season the ratio of male-female flowers is about 3 to 1. Pollen must be transferred to the female flowers from the male flowers for fruit to develop, and the pollen is not airborne. The transfer is mostly done by honeybees. However, with the decline of pollinator populations, sometimes you have to take matters into your own hands, and pollinate the squash yourself. What to look For. The blooms are open in the morning, and therefore receptive to the pollinators. Later in the day, the blooms will close up making it difficult for pollinators to penetrate the folds and fertilize the flower. It is important to use freshly opened flowers to pollinate because they are only receptive for one day. Walk through the garden in the late afternoon or evening and find flowers that are fleshy and showing yellow at their tips, indicating that they will open the next morning. Choose pairs of male/female flowers to use the next morning and tape(or use a twist tie) them shut. 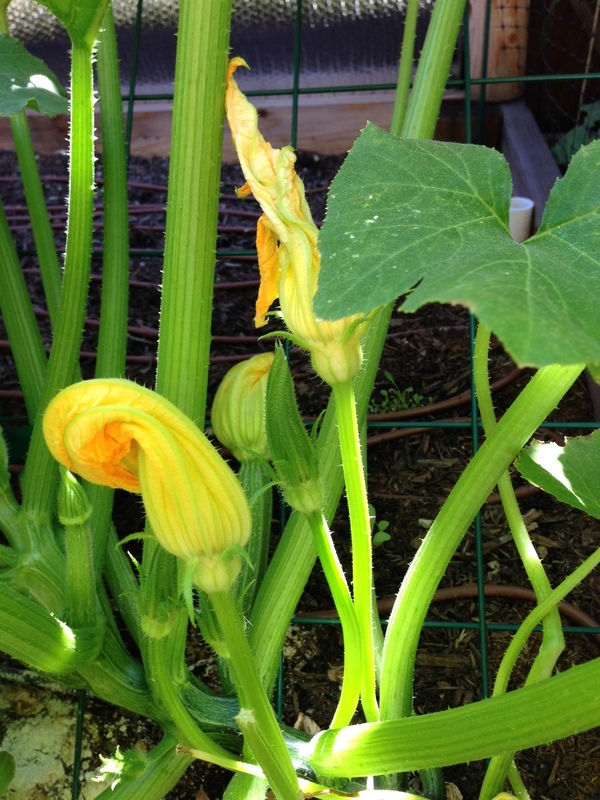 Also, make sure you use the same type of squash flower, because the squash will rarely cross-pollinate. Those female flowers like to play hard-to-get, and won’t let just any old pollen canoodle with them. How To Hand Pollinate. Pollinating by hand can be tedious but it’s the only way to achieve fruits in the absence of pollinators. 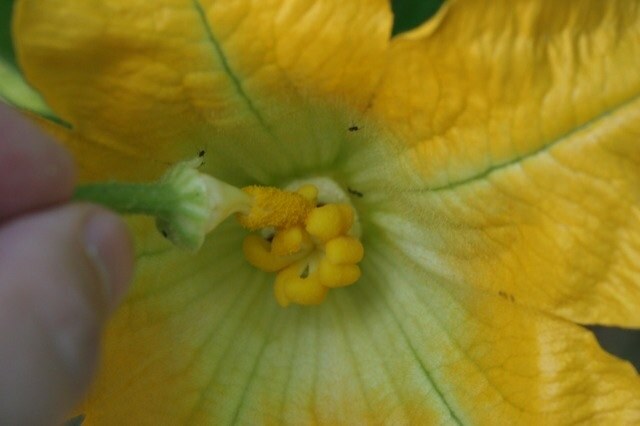 The pollen is yellow and is produced on the structure in the center of the male flower. 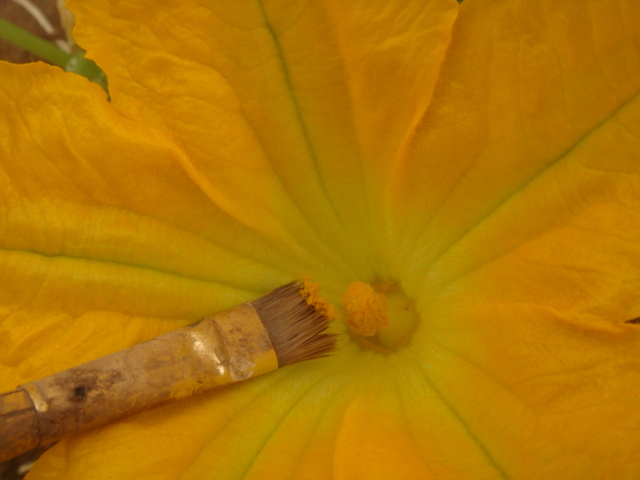 There are two ways to do this: (1) use a small, artists’ paintbrush to transfer the pollen from the male flower by brushing it onto the center stigma of the female flower, or (2) break off a male flower, remove the petals to expose the pollen-bearing structure and roll the pollen onto the stigma in the center of the female flower. Using this method should help your yields in the future. I am so glad you posted this information. Thank you! Do you find it effective to play heavily bass-laden music in the background?